It wasn’t high noon when the highly paid neurosurgeon faced off with the airport parking worker. It was more like 10 P.M. But for a few tense minutes on Aug. 31, 1995, their showdown outside the Portland International Airport terminal seemed as dramatic as the Old West. On one side, in his sleek Mercedes-Benz coupe, sat Darrell Brett, 41, a millionaire doctor from a lucrative Portland practice. Facing him, ticket pad slung open, stood June Grittman, 51, who earned $11 an hour keeping traffic flowing at the airport. When it was over, Grittman claimed, Brett had cursed her for telling him to move his car, saying he could “buy and sell” people like her. Then, she rammed her once, backed up and rammed her again as she stood in front of him to write a $25 ticket. Brett claimed Grittman was belligerent and said she refused to hand over the ticket and let him be on his way. He hit her by accident, he said, and even then it was only a nudge. On Tuesday, a Multnomah County jury sided with Grittman, awarding her $1 million in damages after ruling that Brett committed civil battery. 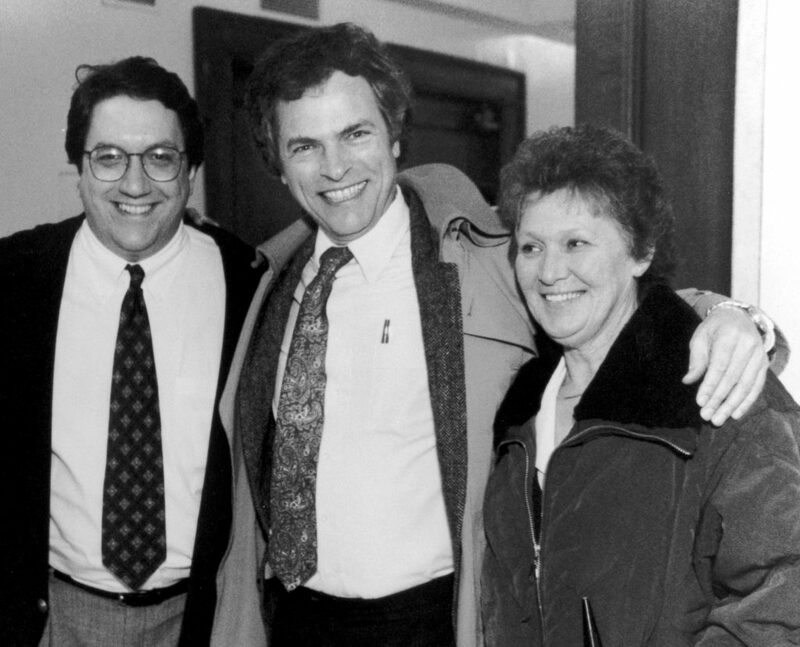 As he had throughout the trial, Grittman’s lawyer, Gregory Kafoury, said it was a case of the high and mighty vs. the little people. Brett declined comment. His lawyers did not say whether they would appeal. The verdict, delivered after three hours of deliberations, ended a three-day trial of packed courtrooms, prompted at least in part by the presence of Court TV. Several witnesses, mostly airport employees, corroborated Grittman’s version of the incident, which began just before 10 p.m. on the lower level of the airport’s terminal throughway. According to testimony, Brett stopped his car in a no-parking lane when Grittman approached and asked him to move. 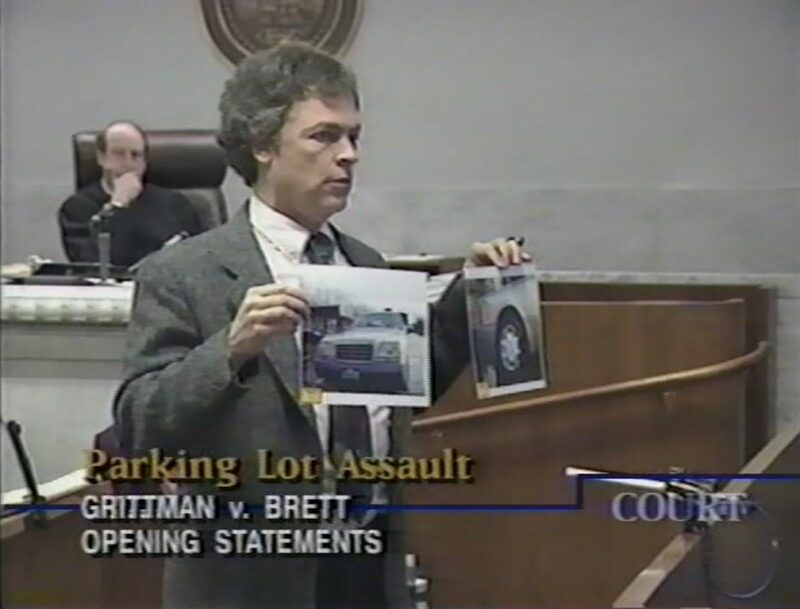 During the trial, witnesses said Brett bragged that he made $3 million a year and told Grittman that if she didn’t get ou of the way, he would run over her. Grittman stood in front of the car writing a ticket. She testified that Brett moved forward with his car and bumped her in the knees. He then backed up a few inches and hit her harder, she said, throwing her onto the car’s hood. She claimed she suffered knee and lower-back problems and emotional trauma. The jury awarded her $200,000 for physical and emotional injuries and $800,000 in punitive damages. Under Oregon law, half of the punitive damages will go to the state’s crime victim’s assistance fund. Brett’s attorney, Austin Crowe Jr., argued that Grittman’s injuries weren’t severe, citing doctor’s examinations and the fact that she returned to work after five weeks. Brett, whose practice is at 10101 S.E. 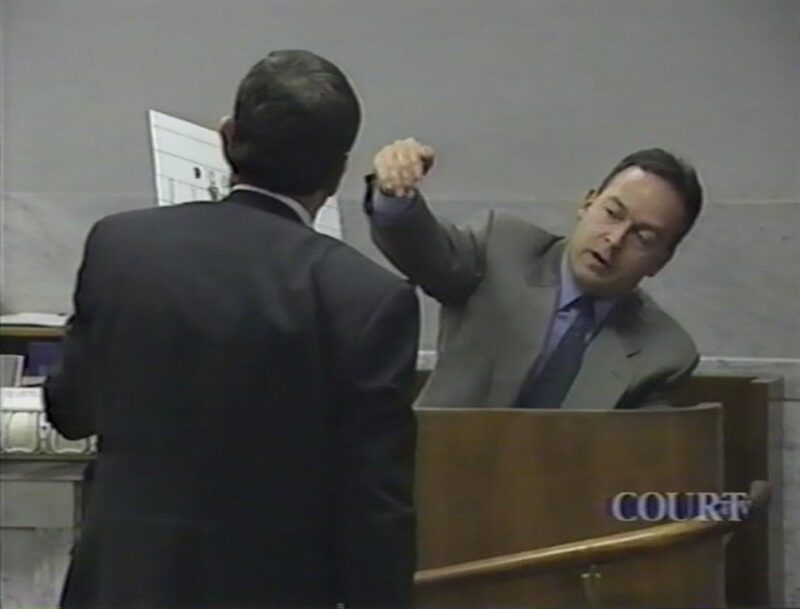 Naub St., testified that he didn’t mean to hit Grittman. He said he accidentally let up on the brakes, and before he knew it, he had inched forward and bumped her. The suit isn’t the end of Brett’s problems. He also faces a $300,000 lawsuit that contends he made ethnic slurs against a Fred Meyer pharmacist who called for confirmation on a prescription.